I-695 is the Throgs Neck Expressway and bypasses part of I-295, providing some missing movements from the Bruckner interchange. 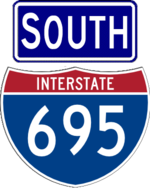 It was originally a spur of I-78, but was made a spur of I-295 when I-78 was cancelled. 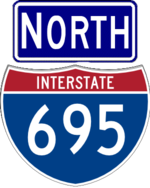 NYSDOT began numbering the road as I-695 to avoid confusion in 1986, and the designation became official with the FHWA in 2008.